LANCASTER – The Lancaster Sheriff’s Station is seeking your help in identifying and locating the following suspects. 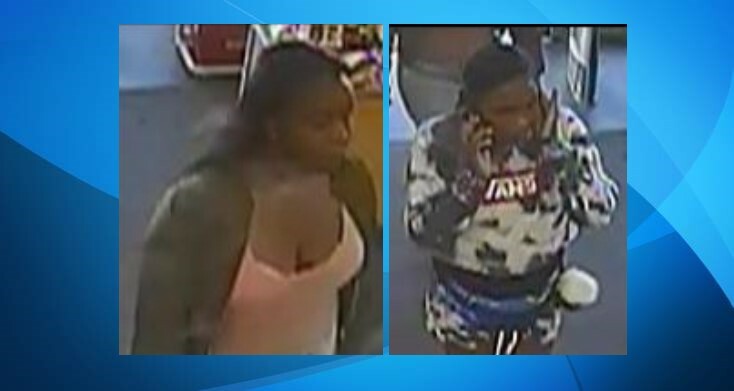 If you recognize them and know where they might be located, contact detectives using the information beneath the suspects’ photos or by calling 1-800-222-TIPS. 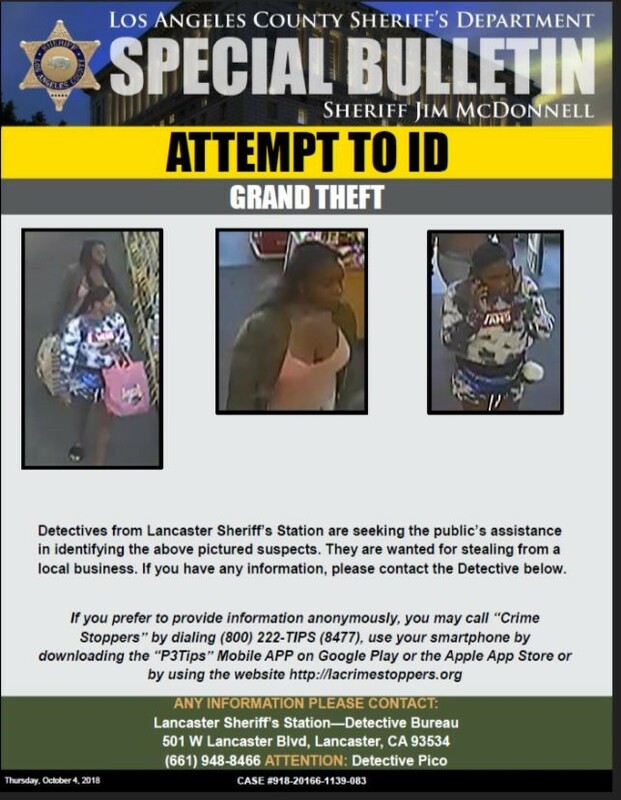 If you recognize these females, then Lancaster Sheriff’s Station detectives would like to hear from you. The suspects are wanted for grant theft. They are accused of stealing from a local business. 2 comments for "Lancaster Station’s Most Wanted"
I think the girl in the vans top is wearing a vans top. I think it’s a vans top. I think the suspect in the “Vans” top is a skatergirl from NewPorsche Beach.